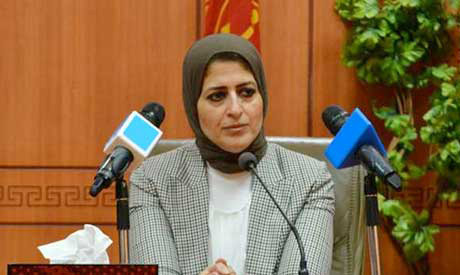 Egypt's Health Minister Hala Zayed said on Sunday that Egypt has obtained international accreditation to produce many medicines in country. "We have undertaken serious steps to start manufacturing cancer medicines, as well as unifying the registration procedures in Africa for medicines," the minister said during a session on health care and scientific research at the Arab and African Youth Forum in Aswan. The session was attended by President Abdel-Fattah El-Sisi, Minister of Higher Education Khaled Abdel-Ghaffar and African and Egyptian officials. Zayed also said that the ministry has contracted one of the most experienced international experts in the plasma production field to help the country produce 300,000 litres of plasma and its derivatives. She also said that the country has managed to reduce the cost of hepatitis C drugs. Zayed also said there are ongoing procedures to ensure that those in the second phase of the campaign, which aims at eliminating the waiting lists for patients with hepatitis C, receive free medical treatment at the state's expense. Several other workshops and discussion panels will be held on the second day of the three-day Arab and African Youth Forum. Panel discussions will address a number of innovative ideas for realising Arab-African integration in various domains, including in scientific research and public services.